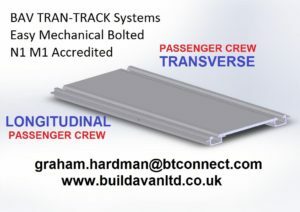 At BAV Ltd its not only the M1 N1 TRAN-TRACK kits that fit easy ,our Price Kit Guide is also easy . BAV Ltd Sell to DIY & TRADE at the same price so we all get a the great same deal. Lightweight Economical to Install and Purchase with quick delivery. You can build in any format even both as the plan shows. 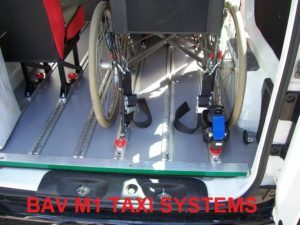 The Tran-Track Patented Technology work in both M1 Certified directions giving you multi part or full floor systems that are not set in stone like our competitors , also an alloy plank floor is very heavy taking away passenger pay load and automatically gulping fuel mile after mile. You Don’t need to Vehicle Type Approved any vehicle, its not compulsory and you are simply paying for extras again . The Tran-Track system is the same regardless you are DIY or TRADE FLEET building . 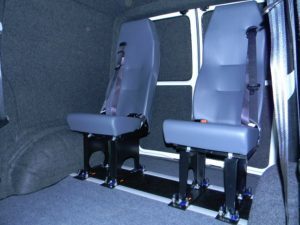 M1 Tran-Track is UK IVA VOSA m1 n1 certified and compliant for both Unregistered and Registered vehicles with an MOT certificate. NEED A PRICE FOR YOUR OWN PROJECT ?